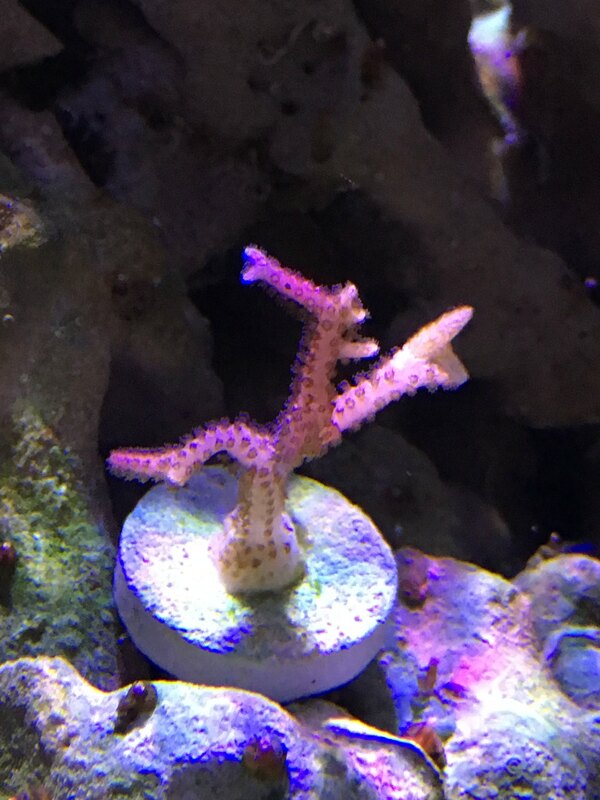 Pink Birdsnest Frag! 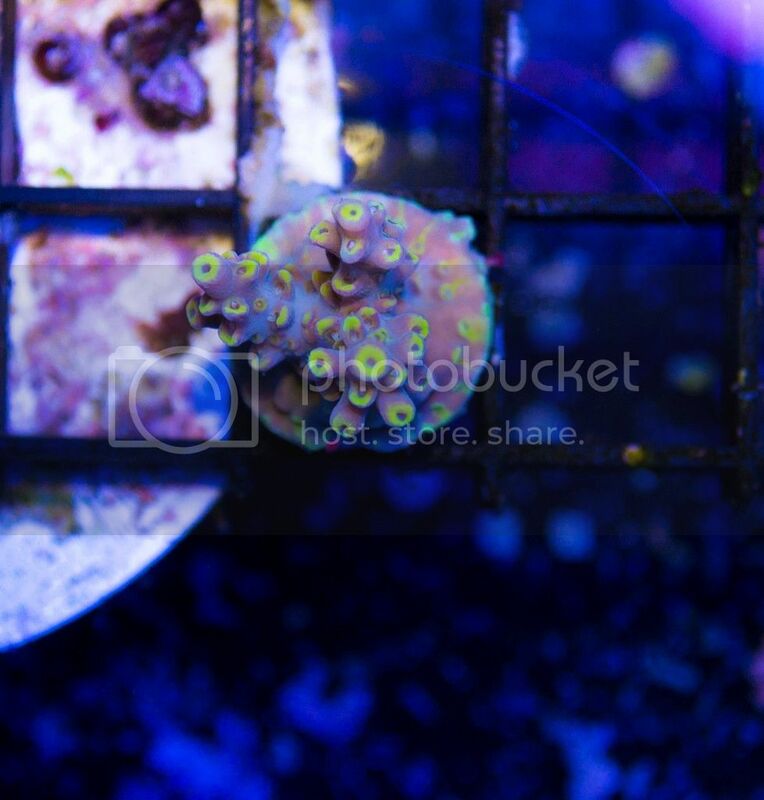 These frags are multi-branched and come from a healthy colony. All my items posted will only be brought to the swap if somone reserves them. (937) 459-9506. 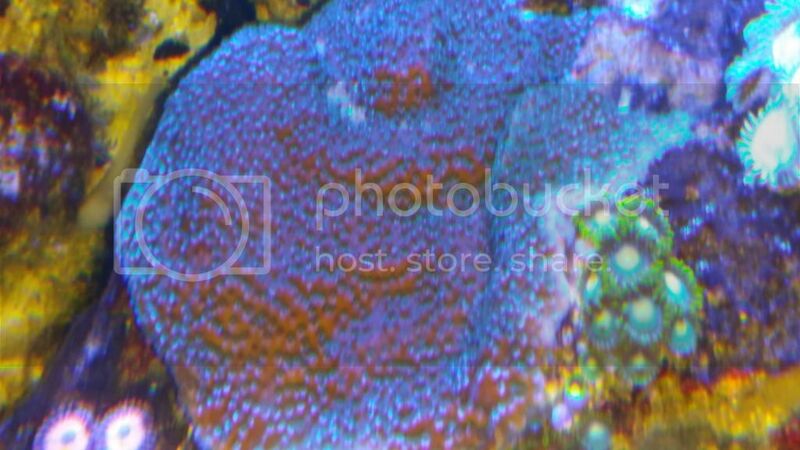 I have been breeding Oscellaris clowns for about 9 months. I will be bringing 5-8 of them to the swap. These are 1" to 1.5" big. 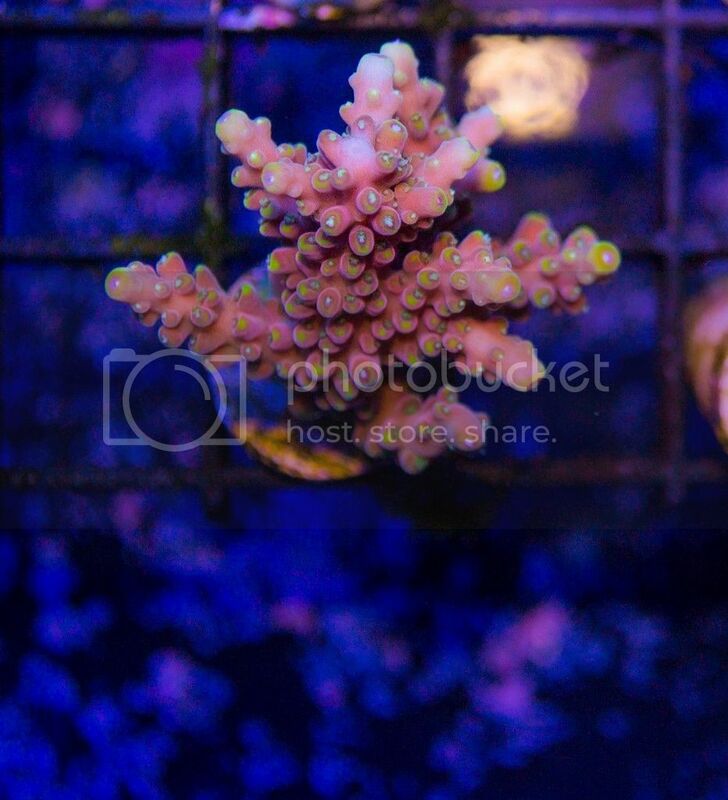 They will be about 6 months old. They are eating flake and small pellet. Most will be regular patterned, but there will be a couple of misbars. That means that their middle strip has a non standard stripe. 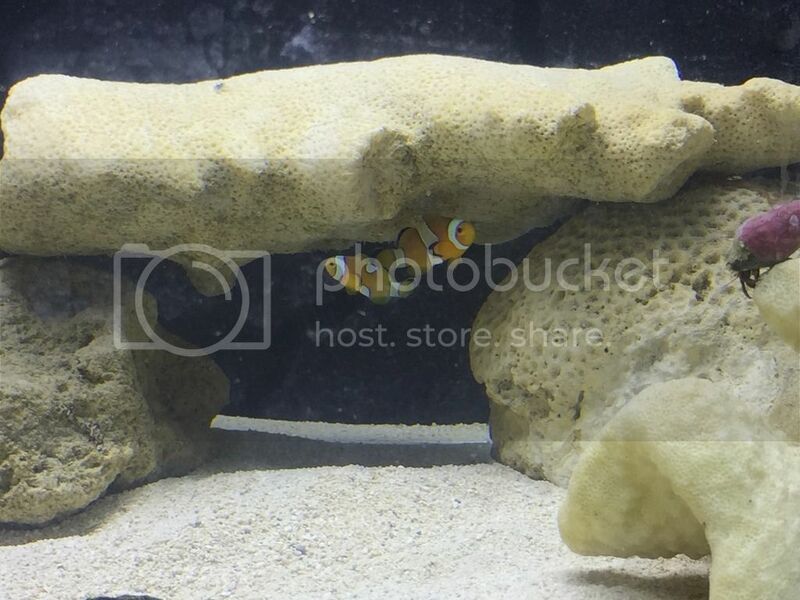 Misbars are what leads to the unique designer pattern clownfish. The standard pattern ones will be $10 and the misbars will be $15. In the picture below the misbar is on the left and the standard pattern is in the right. 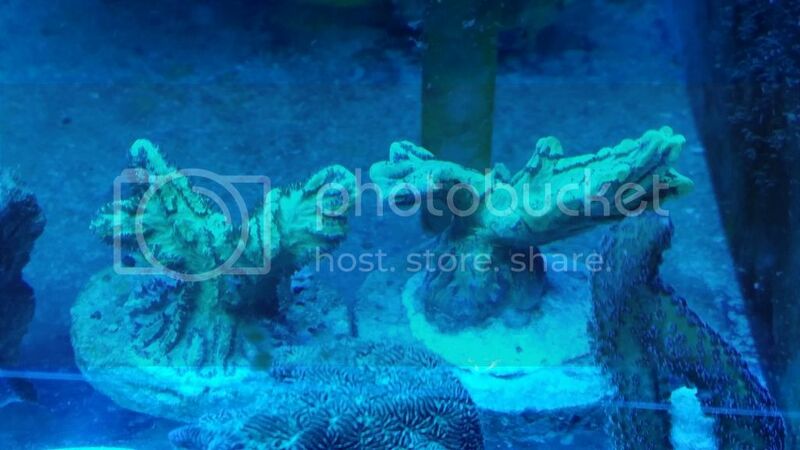 I have a used metal halide setup that I need to get rid of. It has 3x175w mh bulbs and 2x150w florescent bulbs. All builds are used.